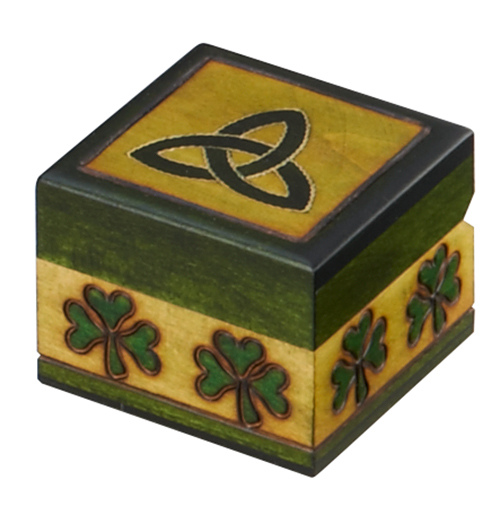 This small green box is decorated on the lid with a trinity knot. Shamrocks adorn the sides of the box. Handmade in Poland's Tatra Mountain region. Dimensions: 2-1/4 in. x 2-1/4 in. x 1-3/4 in.